Here is Jenna giving the check over to the Humane Society Representative! 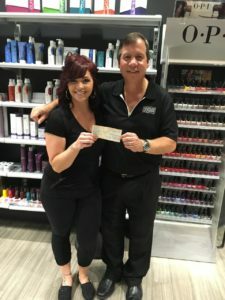 Here at Charisma Salon, we like to give back to our local community and other local charitable organizations. 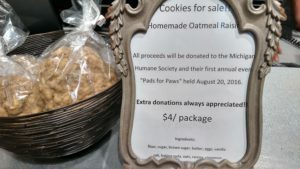 This month we were lucky enough to do a fundraiser to help the Michigan Humane Society with their first annual “Pads for Paws” event held on August 20th. This event was held to help benefit the Michigan Humane Society and all that it does for our little furry friends in the Metro Detroit area. One of our stylists was able to raise funds selling homemade baked goods for the event! Jenna was able to raise $910 in four weeks. Just amazing! Here is a photo of the display! If you want to give back to your local humane society there is still a chance! They are always in need of volunteers and monetary donations! 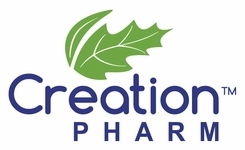 You can also check out their Facebook page for upcoming events and donate as well! All For June- Oil Treatments, Fixing Color Damaged Hair, and Moroccanoil Give Away! June is finally here which means so is summer weather! We love the warmer weather and all the fun activities it brings, like time at the pool or at the beach. Unfortunately for us though all those extra pool chemicals can really damage and dry out your hair. One of the best ways to repair damaged and dehydrated hair is by giving it a deep oil treatment. We offer several brands of reconditioning treatments, but one of our favorites is the Moroccanoil Treatment. Moroccanoil only uses the best and high quality ingredients in their products, and their popularity proves it. Your hair will feel silky, healthy and hydrated with a beautiful shine that will outlast normal conditioning treatments. 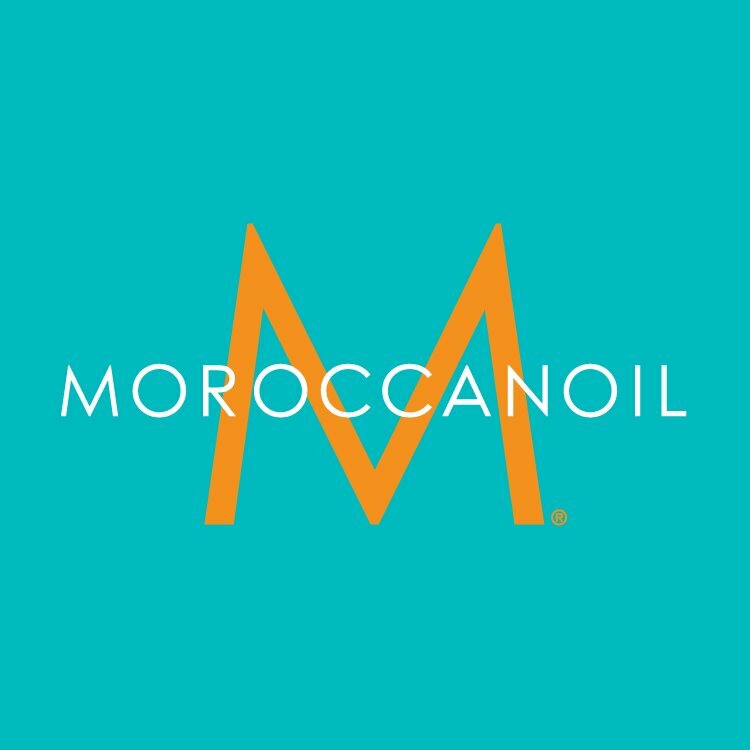 We also offer Moroccanoil products in our manicure and pedicure services. The Moroccanoil line will leave your skin and nails looking healthier than ever. We wrote more about it on our blog here. Wedding and Prom Season Are Almost here! If you want to look great for your big day look no further than Charisma Salon and Day Spa. Our hair stylists and wedding makeup artists will make you look amazing for your photos with the best products and our professional experienced stylists. We know finding a wedding hairstylist and makeup artist at one place in the Metro Detroit area can be hard, that’s why we’re here! Short hair? Long Hair? Difficult hair? We’ll work to match you up with the perfect stylist for you and your bridal party. Tell us about your hair type and what you’d like and we’ll make the perfect match! You’ll want to look your best, so let us make it happen for your big day! We’ll help you look amazing for your dream wedding! We didn’t forget about moms, bridesmaids and flower girls! Bring the whole wedding party for professional hair and makeup! We can get your wedding party looking great as well! We’ll give them a classy look everyone will love! Schedule a massage 1-3 weeks before your wedding. You’ll thank yourself later. We’ll help you de-stress before the big day. We offer package deals as well or you could treat your self to a Day at the Spa for you and your bridal party! 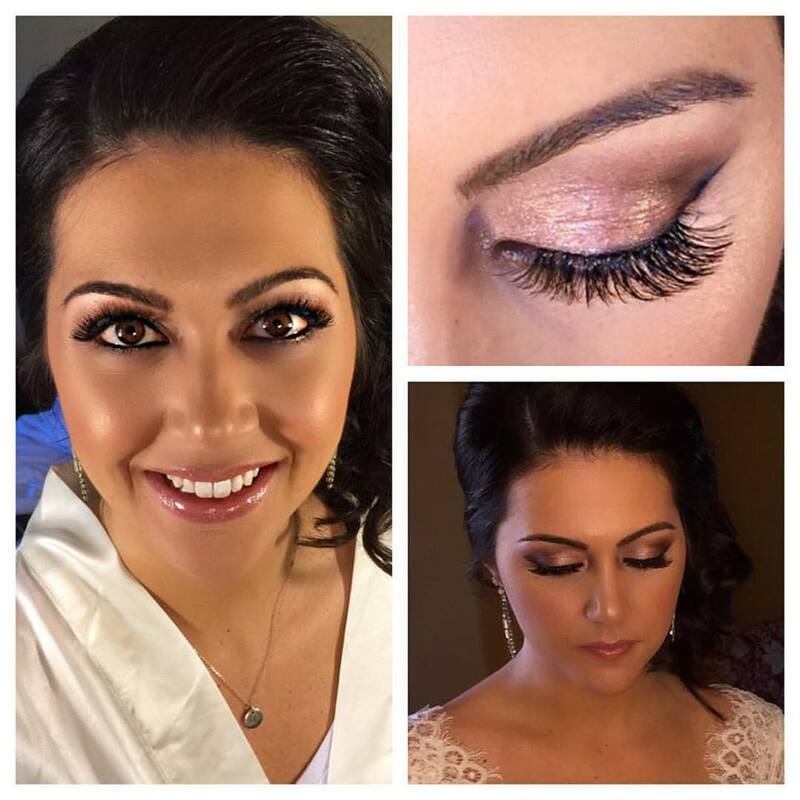 If you need a professional bridal makeup artist for your spring / summer wedding, let our very own professional makeup artist (Makeup By Mary) help you out. Mary has been in the professional makeup business for 13 years and will give you the look you want that will last all day long! From the first kiss to the last dance. The big dance is coming up soon! If you want to have your hair done by one of our stylists book quick! 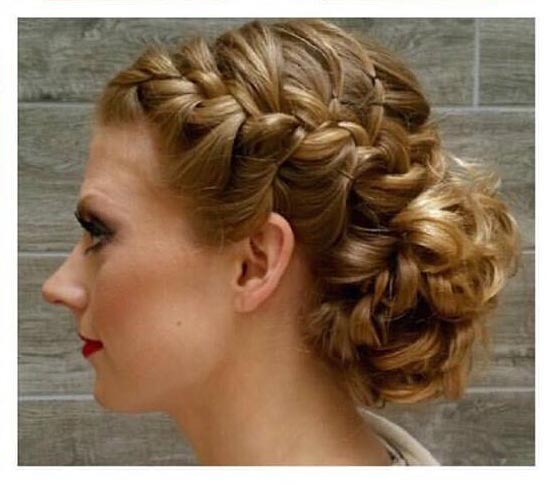 All of our stylists specialize in professional prom up-dos and can help you plan out the best prom updo to compliment your makeup and dress. Speaking of Make up! Schedule a time with our very own professional makeup artist who will make you look like the Queen of the Prom! Need your nails done as well? Let us help! 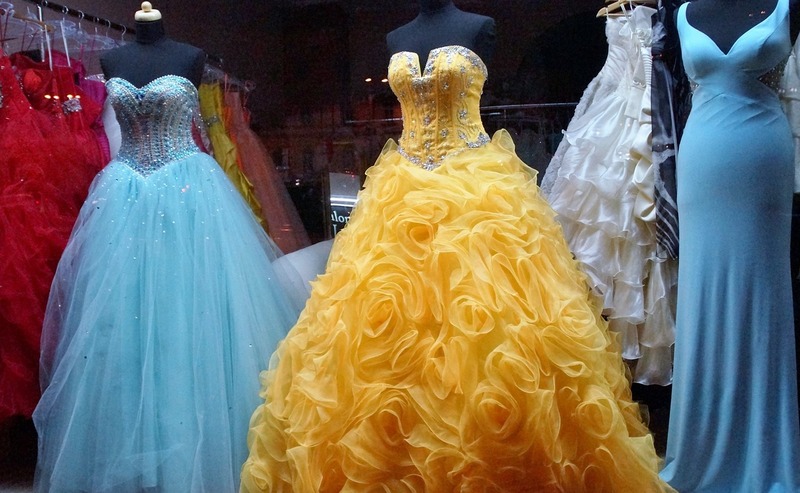 We’d love to be your one stop shop for all your Prom needs. Prices are listed here. Call and book fast! Especially if you have a few girlfriends you’d like to come along. We can handle groups, just give us a heads up to make sure. We are so excited for this upcoming Prom and Wedding season in Metro Detroit! Let us help you make your big day the perfect one!